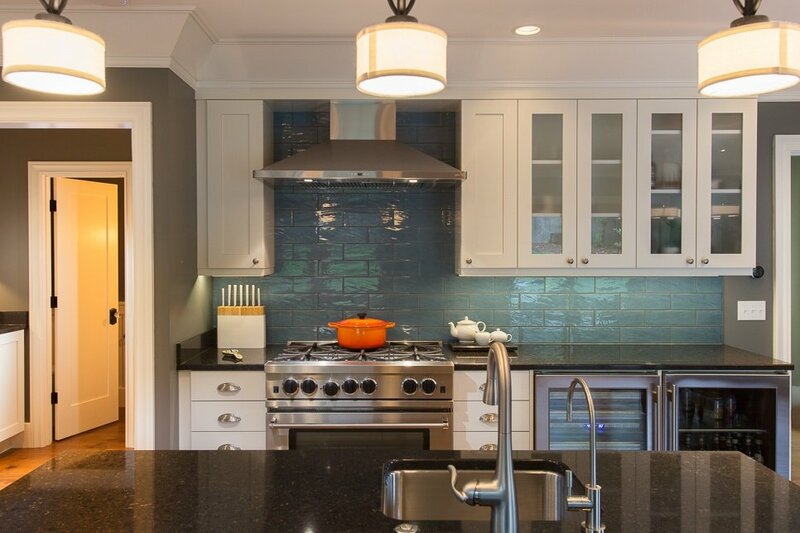 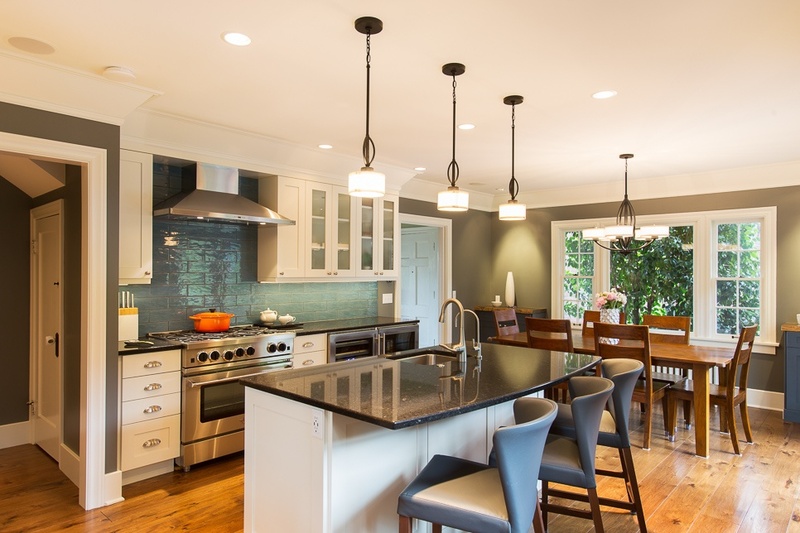 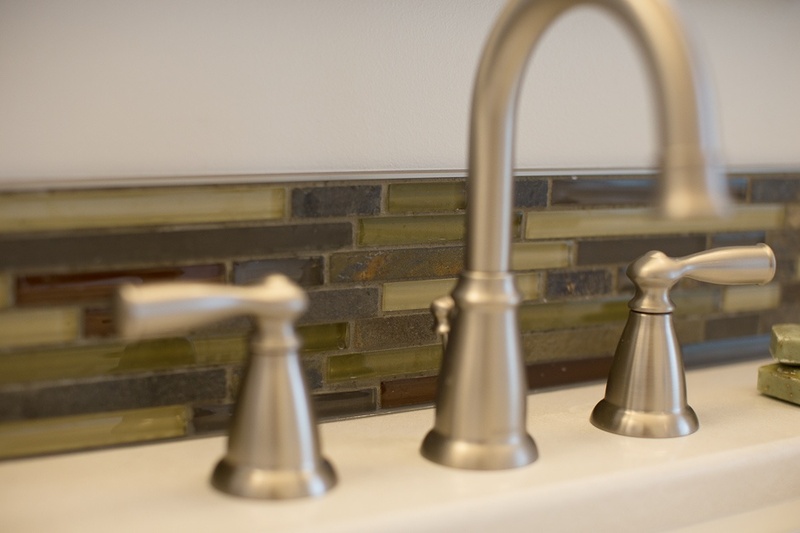 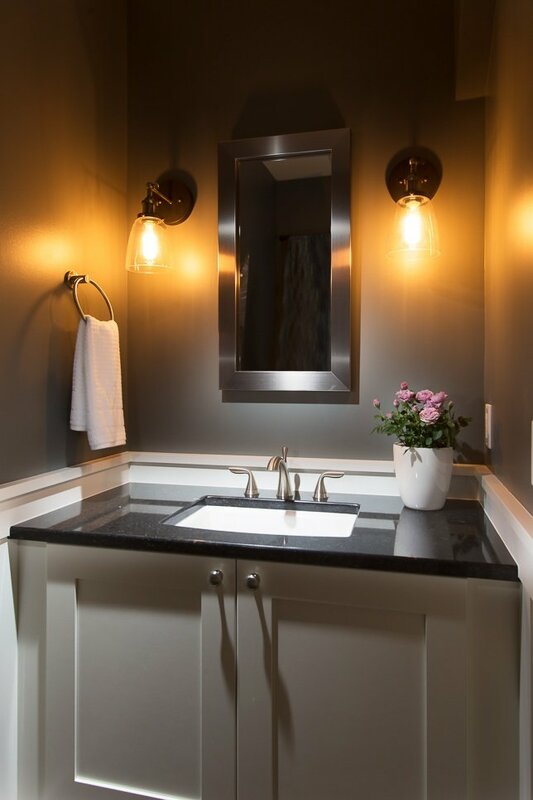 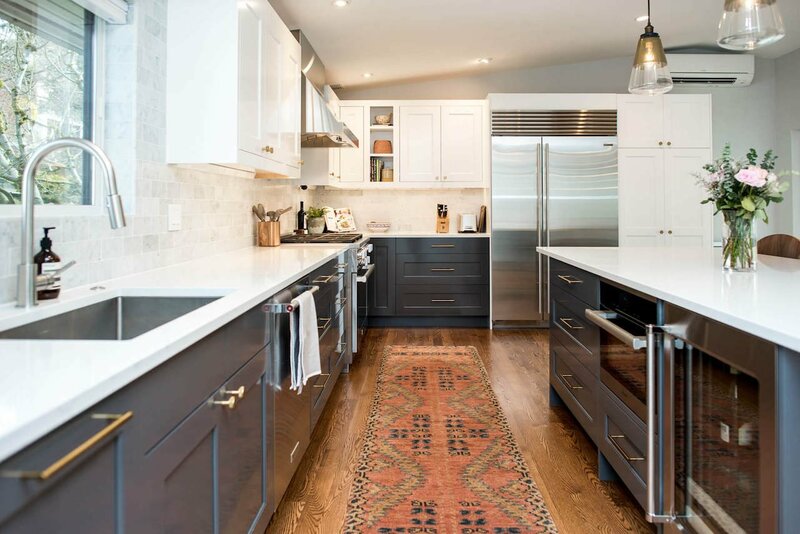 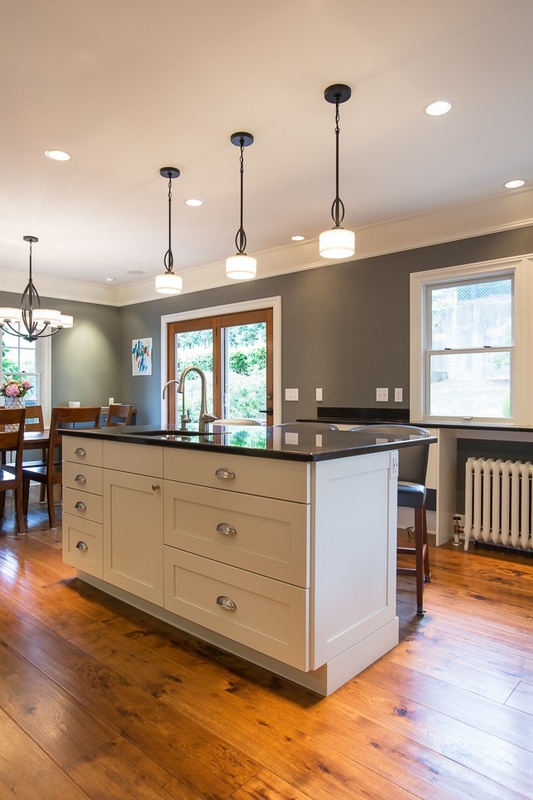 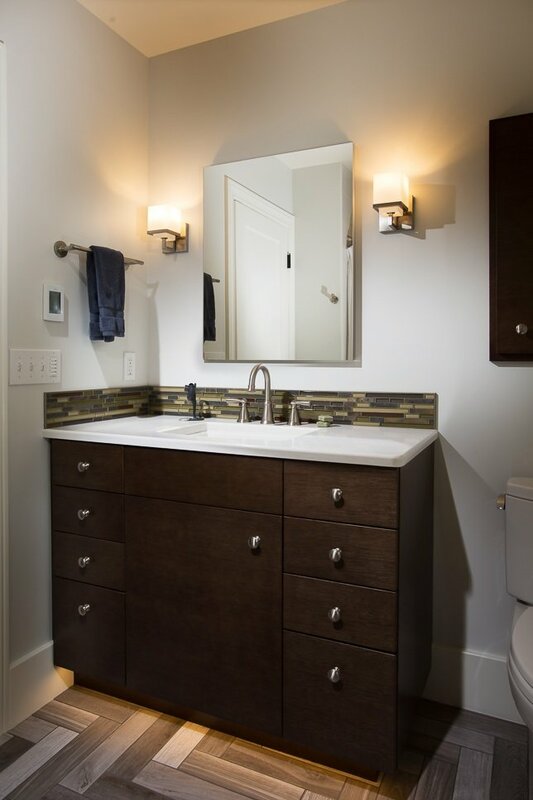 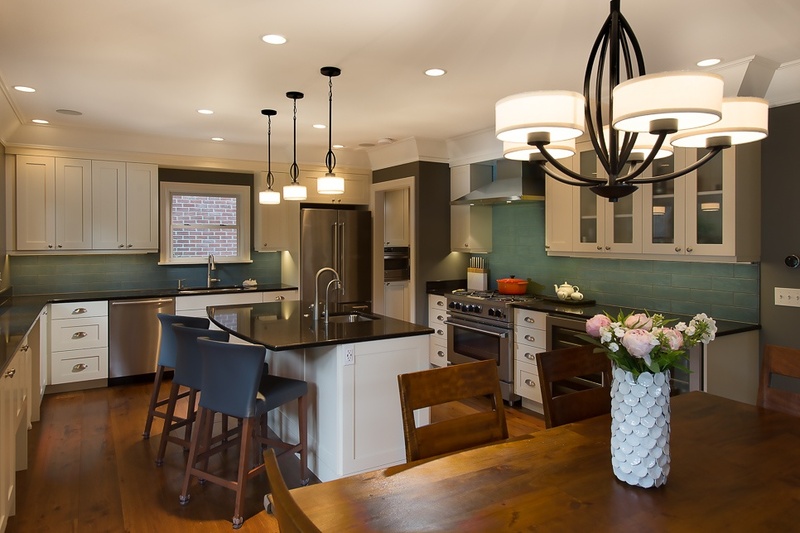 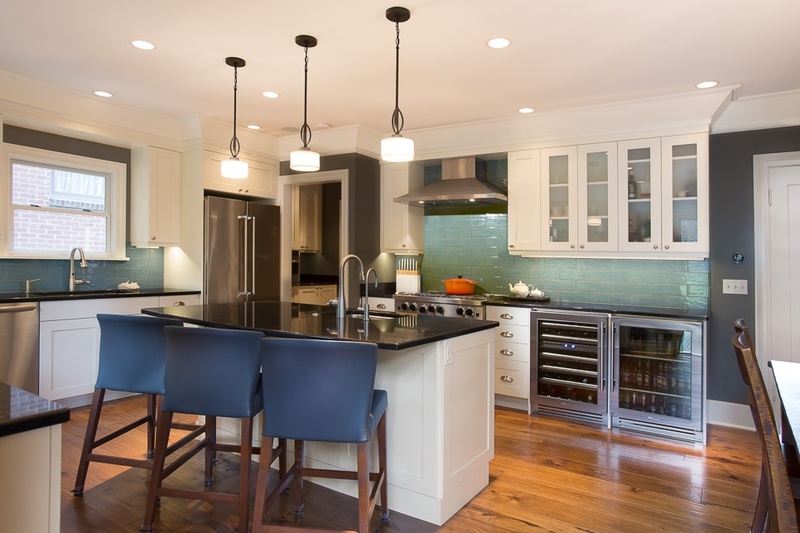 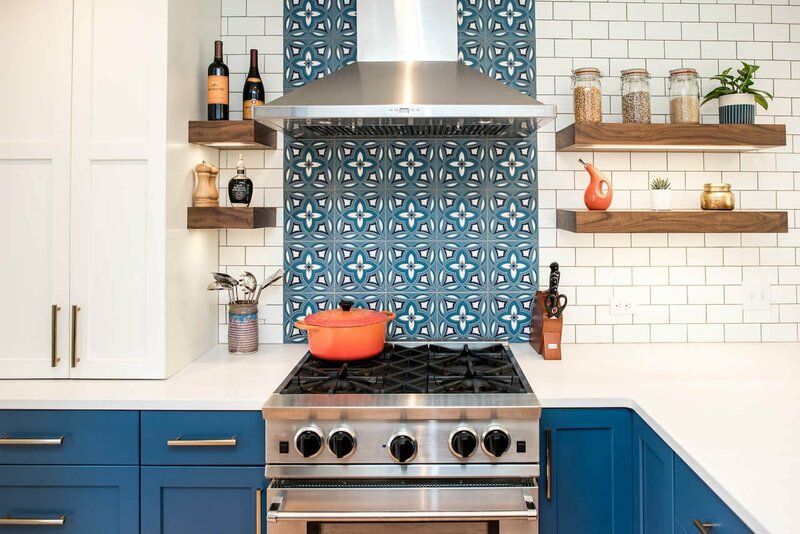 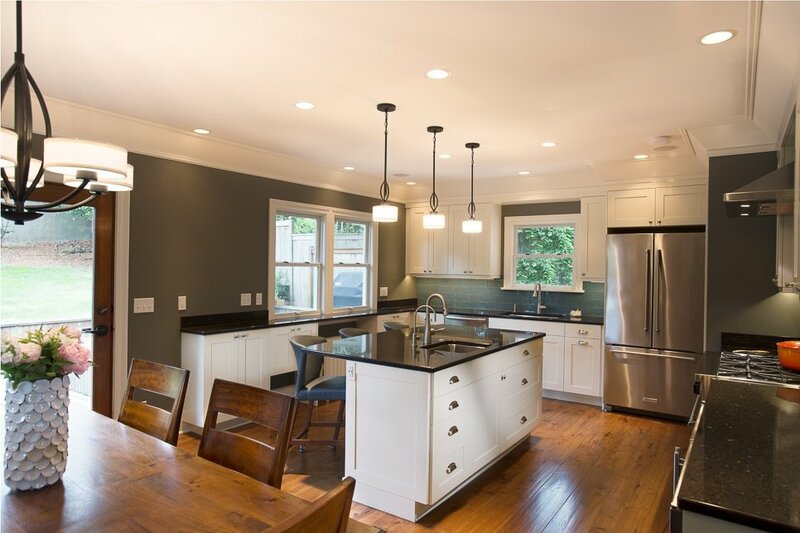 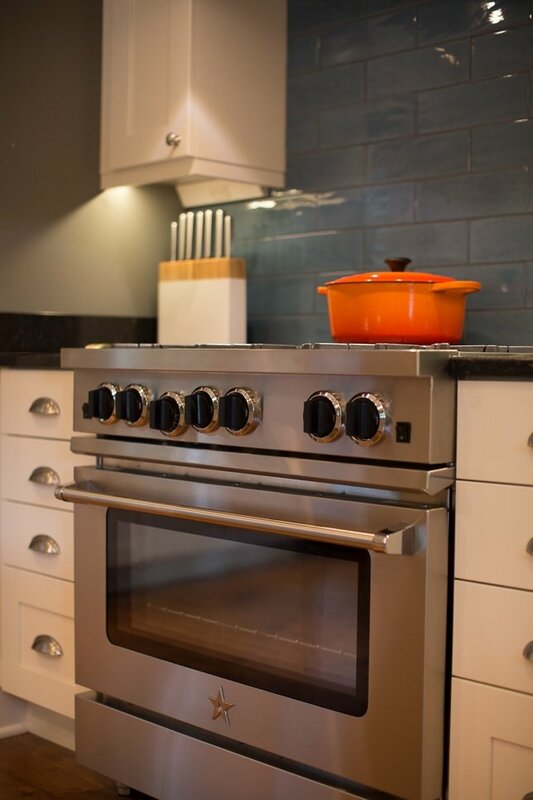 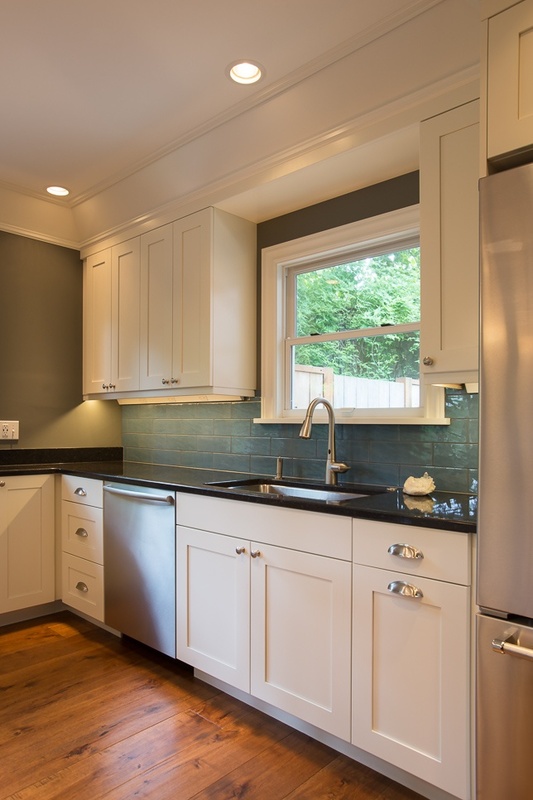 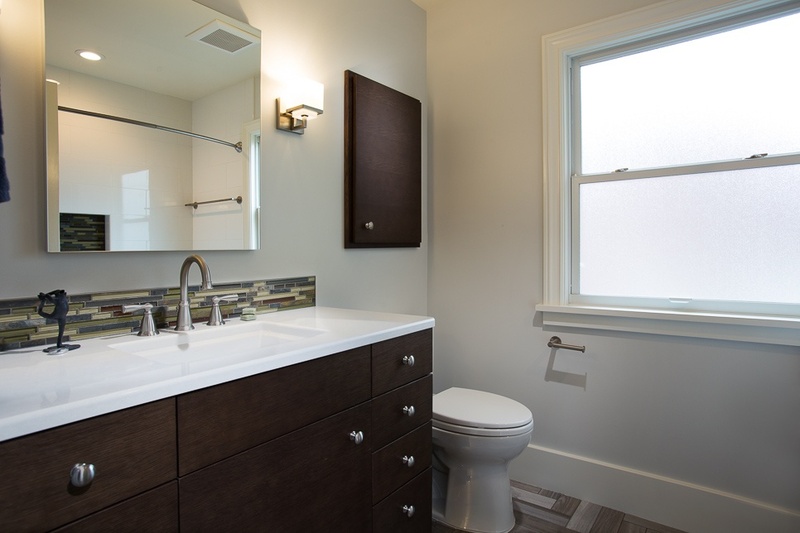 A North Capitol Hill young family home was in need of a serious update for their kitchen, pantry, and three baths. 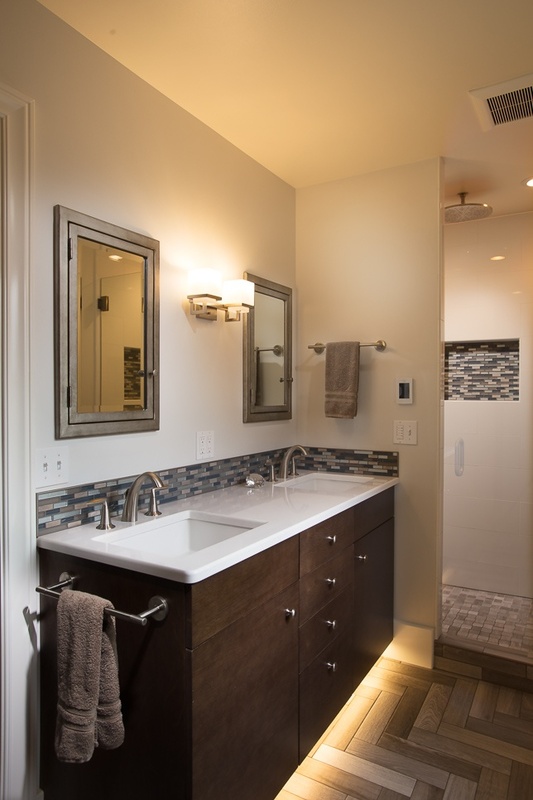 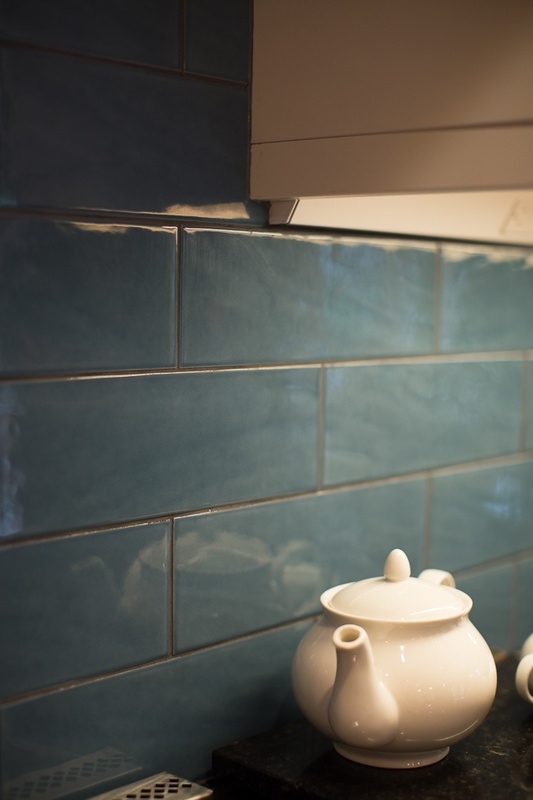 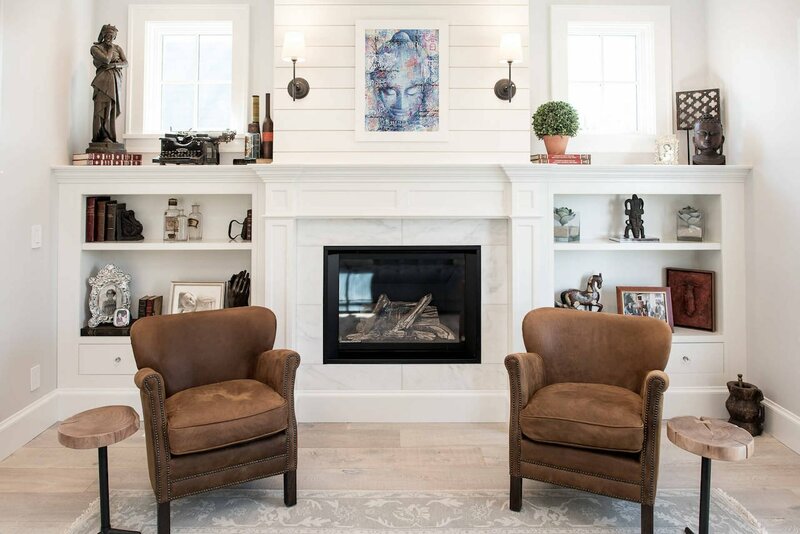 The result is a contemporary, fresh, comfortable space that seamlessly integrates with the rest of the home. 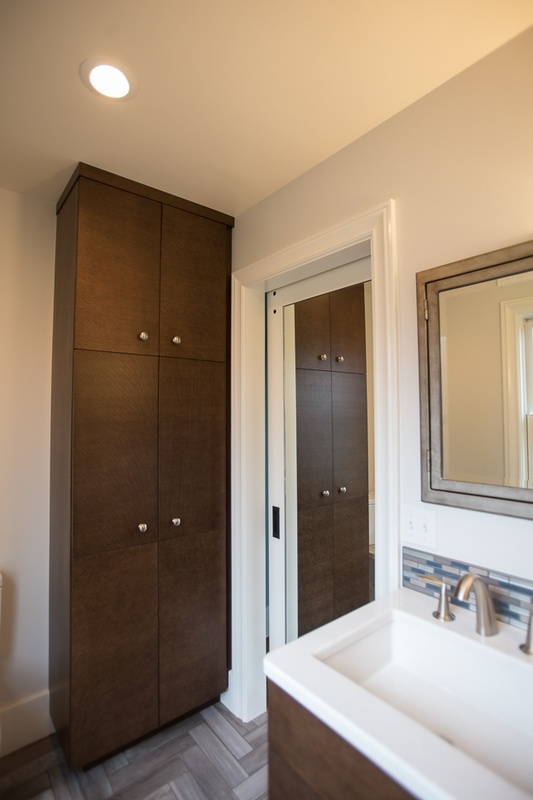 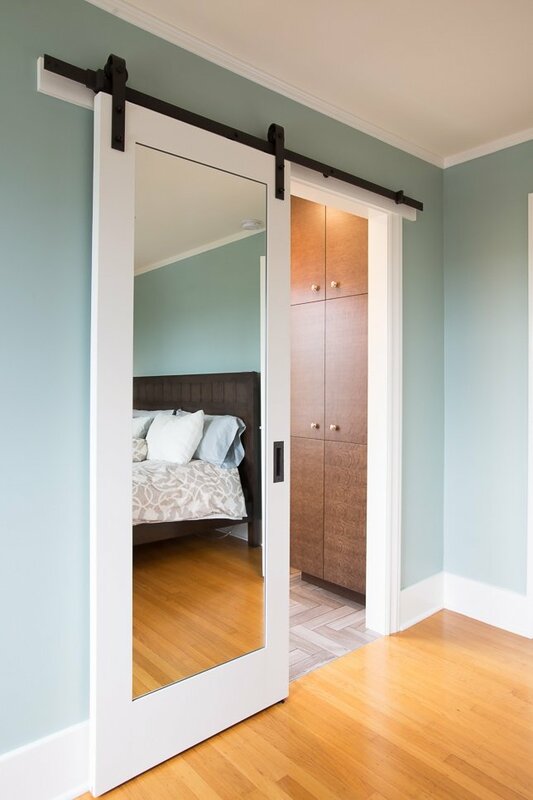 A sliding barn door was installed in the new master bedroom with mirrors on both sides for function and to add a feeling of space and light. 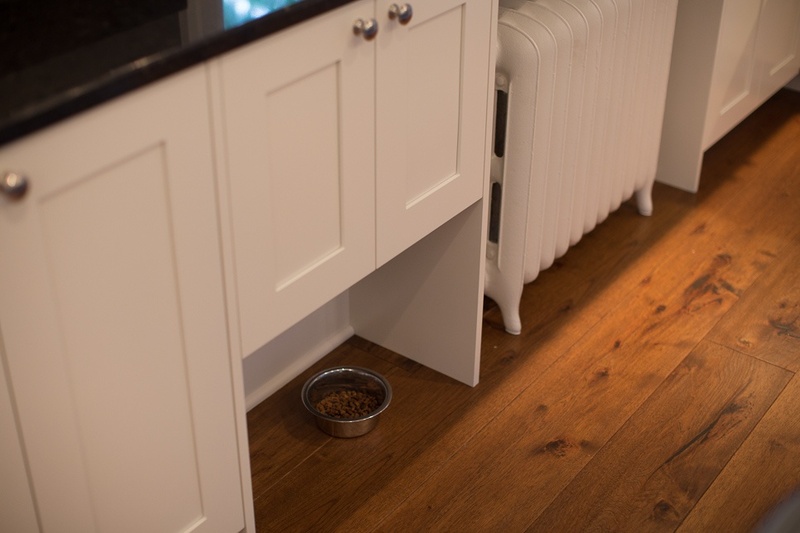 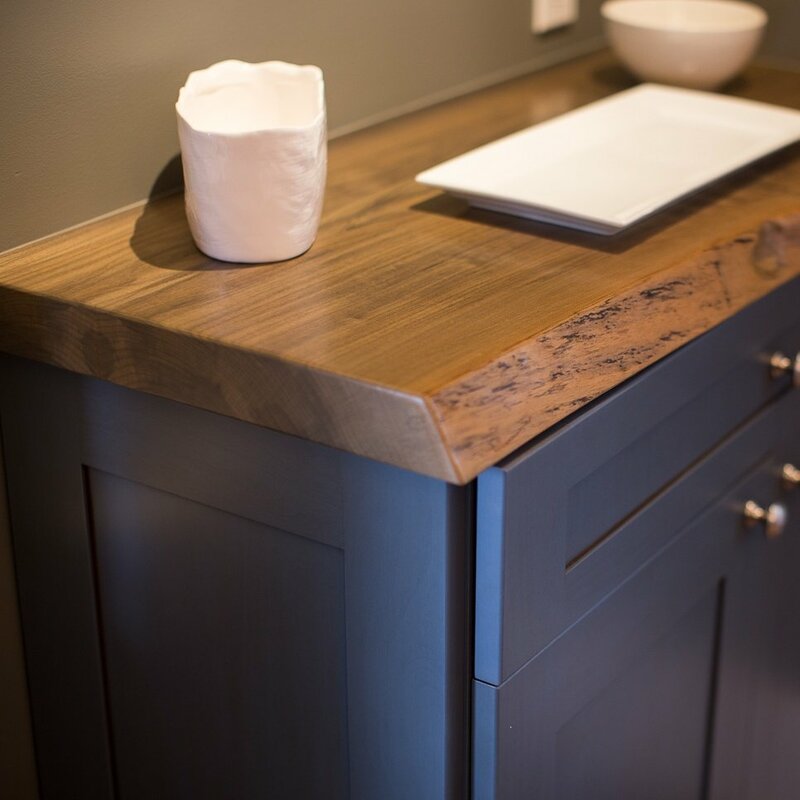 In the kitchen, custom buffet cabinets with reclaimed live-edge wood countertops were added as well as a special niche for dog dishes.